Corporate Event with my favorite Armenian band -- the Hye-Vibes! 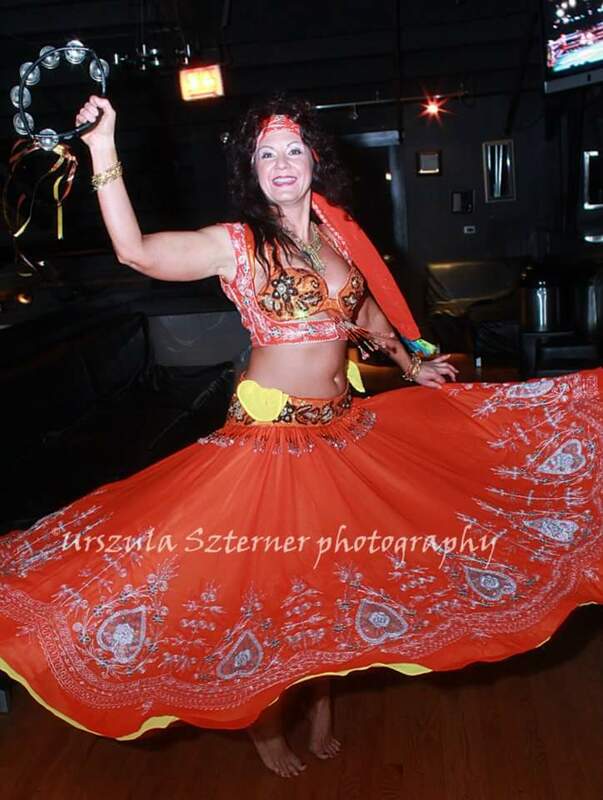 Specializing in Turkish and Egyptian Belly Dance, Raks Sharki, Oryantal Dansi, Romani (Balkan, Turkish and Ruska Roma), as well as Bollywood, Oryantal Dansi and Laila Aziz provide top quality entertainment for your corporate event or family-style party, including weddings and bridal showers. Available for solo shows or with additional dancers. Laila is also a part of Viktoria's Firebird Dancers, specializing in Ruska Roma (Russian Gypsy). We also dance Zaffah for wedding processions and can arrange for musicians to play for your event that we are performing at. Price Range: $175 and up. I customize each show....so how much interaction the customer wants is what I do. I can do a stage show with no interaction with the audience, or i can do one or two songs and then get people involved, if they so wish. This is quite common for birthday parties and even weddings where they want to see the guest of honor included in the festivities. All of my shows are family-style....even if no kids are present. Tips are accepted, but only with respect. It is okay to tip the dancer on the sides of the hip belt or the top of the should strap, but not on the front of the bra or front of the belt. Dancing with the dancer is also acceptable, and dancing back to back where upper shoulders touch is cultural, but no grinding on the dancer or touching lower extremities or frontal part of the dancer. "Something Special".....that is what Laila always tries to leave with her audiences. She has a unique ability to interact and bring her audience in to the show, making their special event or day even more special. Laila was a percussionist all of her life, and when introduced to the rhythms of the East, she fell in love. Using her percussion background, Laila exceled at the finger cymbals or zills, giving her show a very lively feel and making young and old alike fall for the rhythms she herself fell in love with. In addition to studying with the most renowned instructors in the world, Laila has traveled and studied dance in the Balkans and Turkey, and has danced with the Roma musicians on the streets of Berovo, Macedonia. 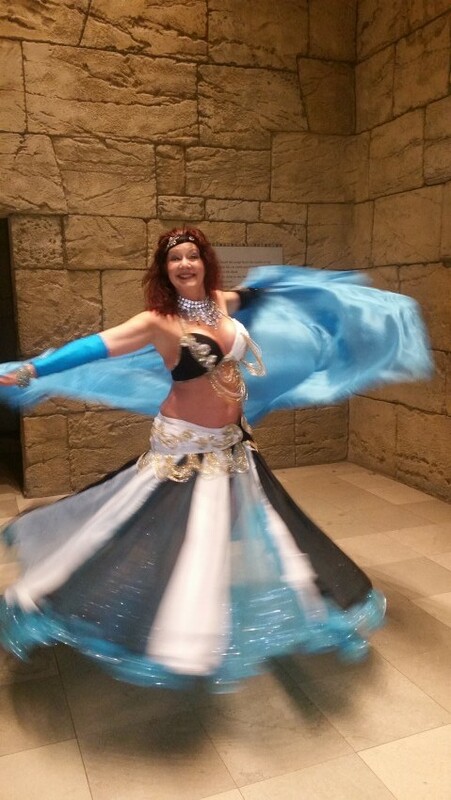 Laila loves entertaining crowds at public events such as Taste of Greece and other festivals, corporate events and family-style parties. Recently, Laila's love of the Rroma dance made her join Viktoria's Firebird Dancers, a professional Ruska Roma ensemble. This troupe is also available for bookings for corporate and cultural events. Troupe shows with set choreography require a stage large enough to accommodate 3 dancers with very large skirts spinning without hitting each other..... 20 x 25 is minimum with larger stage preferred. Shows can be Greek, Turkish, Romani, Egyptian, Balkan, Indian, Arabic, or or a mix. I can also add in a Latin flavor. Please specify your preferences when you book so I can make sure to provide you and your audience the best possible show. Please also specify if you want a more classical Arabic or Turkish feel, or a more modern upbeat feel. If booking for Russian Entertainment, the show will be Ruska Roma. For Egyptian dance, Samia Gamal. I love the Golden Era of Egyptian Bellydance. For Romani, the music itself is an inspiration. How can you not move to the music? It speaks to the heart. I provide most of my music on IPOD. I can bring BOSE speaker system that accomodates a room of 50 to 75, or larger system if previously arranged, but if you have a DJ, I usually like to link in through their sound system. A dance floor is preferred, but not necessary for solo shows. If booking the troupe or multiple dancers, stage must be large enough to accommodate.